Welcome to the coolest little capital in the world. Wellington is where it all began. 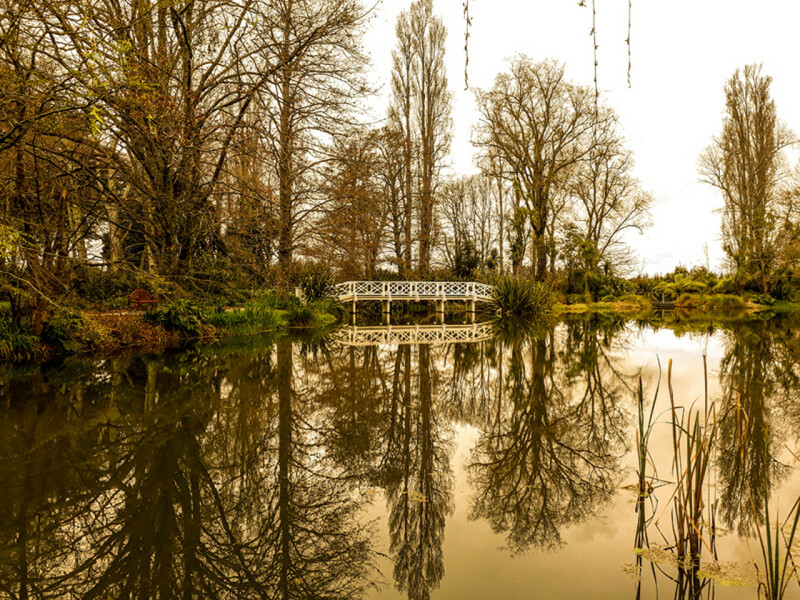 The city is home to director Peter Jackson and his film studio, and the very first exterior scene for The Lord of the Rings was shot at Mount Victoria - right in the heart of the capital. It is also a point of transit for many international travellers who are boarding or departing from the Cook Straight ferry. 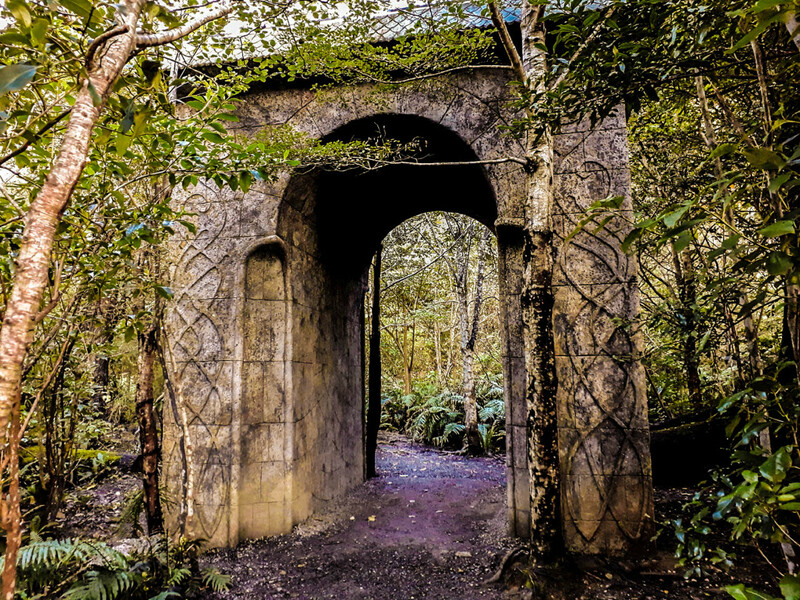 So why not linger for a day or two and take in Wellington's Middle Earth locations? We're happy to give you a little nudge out the door. Weta Cave is a combined mini-museum and movie memorabilia shop, showcasing some very familiar faces and props from the LOTR trilogy. The main attraction are the studio tours which let you experience the world of Middle Earth first-hand. This instantly recognisable location is on a steep slope in a pine forest. 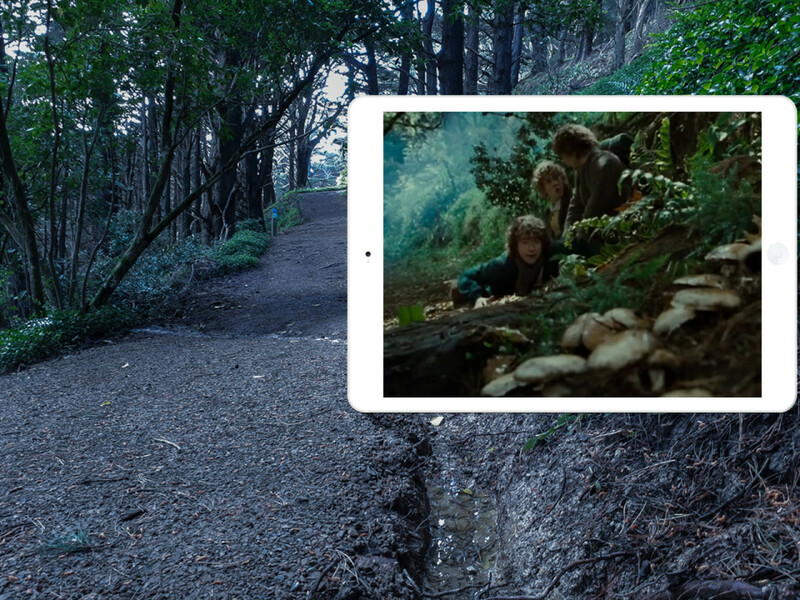 This is where Frodo and his Hobbit friends roll down the hill on their escape from farmer Maggot and find some yummy-looking mushrooms before they have to hide under a tree from one of the Black Riders. While you're here, don't miss out on the fabulous views from the lookout on the top of Mount Victoria. 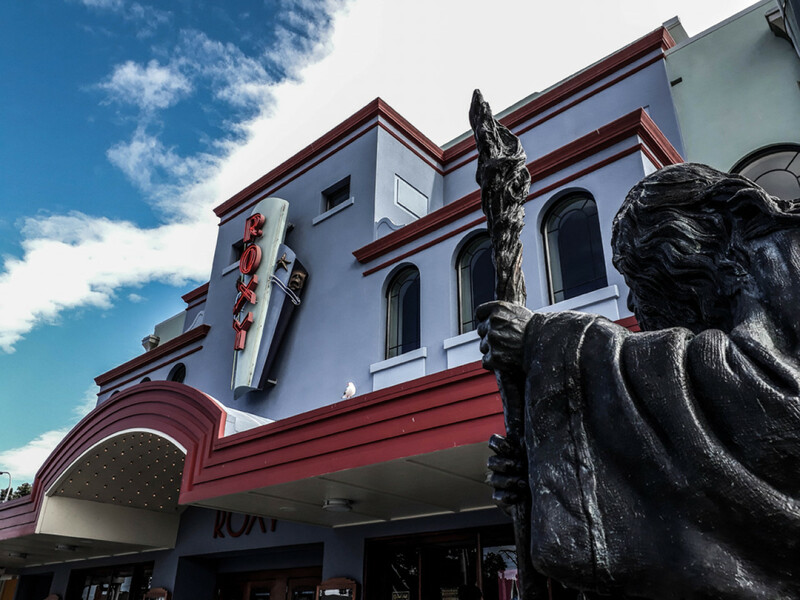 The Embassy is Wellington's most iconic cinema, built in the 1920s and still in use today. 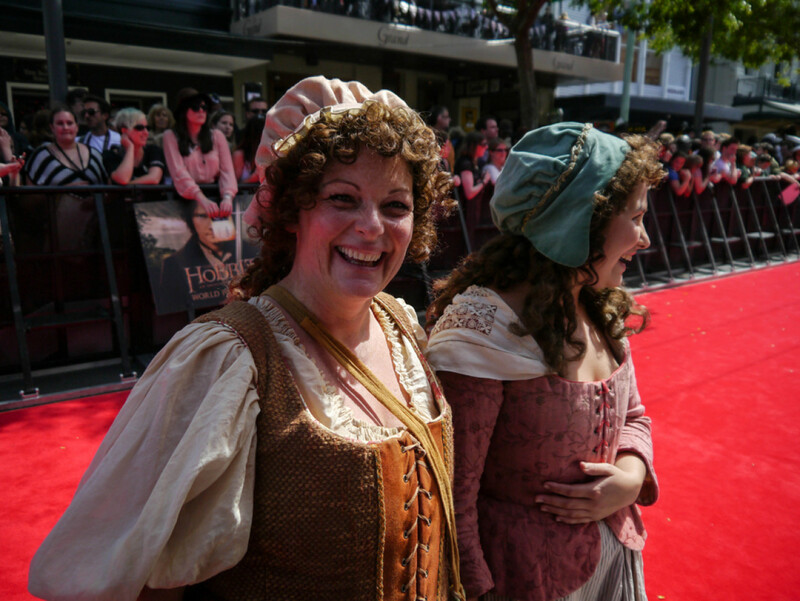 It hosted world premieres of The Lord of the Rings - The Return of the King and The Hobbit - An Unexpected Journey. 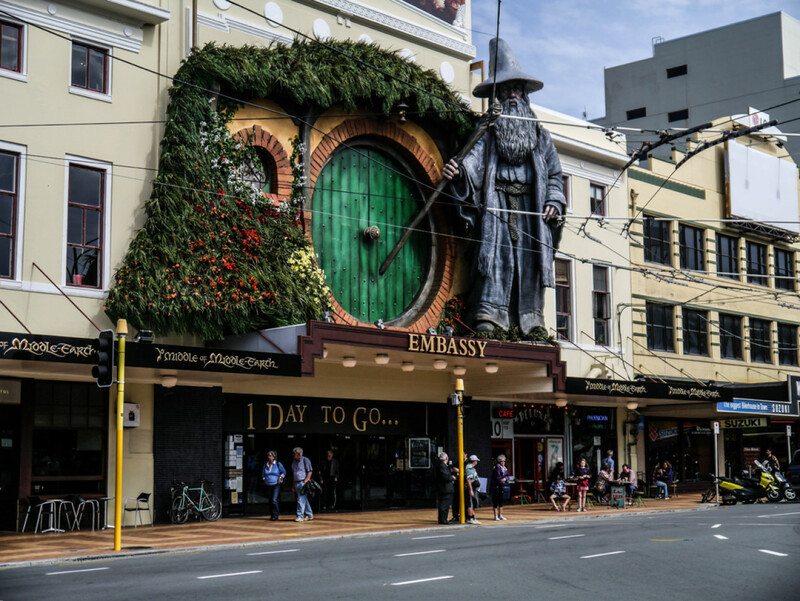 The Embassy at the time of the world premiere of The Hobbit - An Unexpected Journey in December 2012. 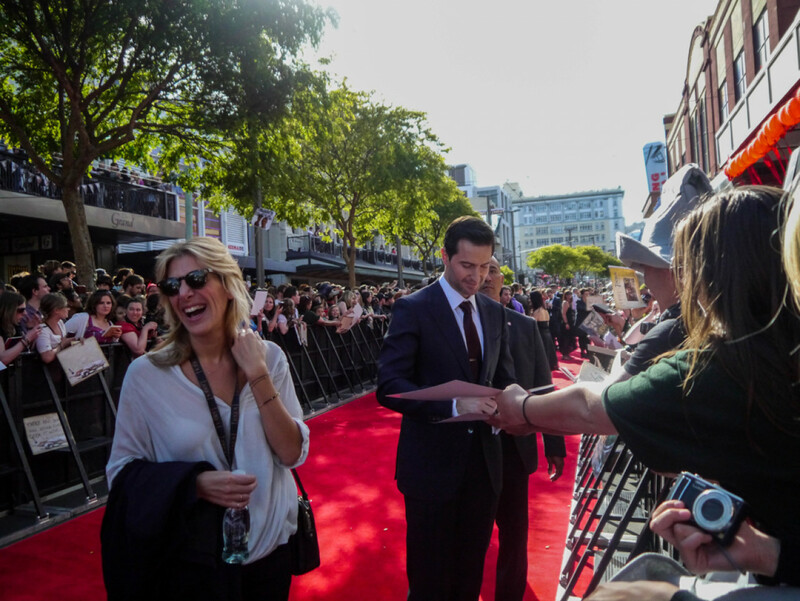 Richard Armitage (Thorin Oakenshield) at work signing hundreds of autographs. Then there is the beautiful art-deco Roxy Theatre, neighbouring Jackson's film studio in Mirimar. Its owners include Jamie Selkirk (the Award-winning editor of The Lord of the Rings), Richard Taylor and Tania Rodgers (the brains behind Weta Workshop). It's probably one of the most accessible places in the world to get close to an Oscar - this one belongs to Jamie Selkirk and is displayed inside a glass cabinet on the first floor. Kaitoke Regional Park - better known as Rivendell. Seeing the gate appear amongst the trees gives you shivers. 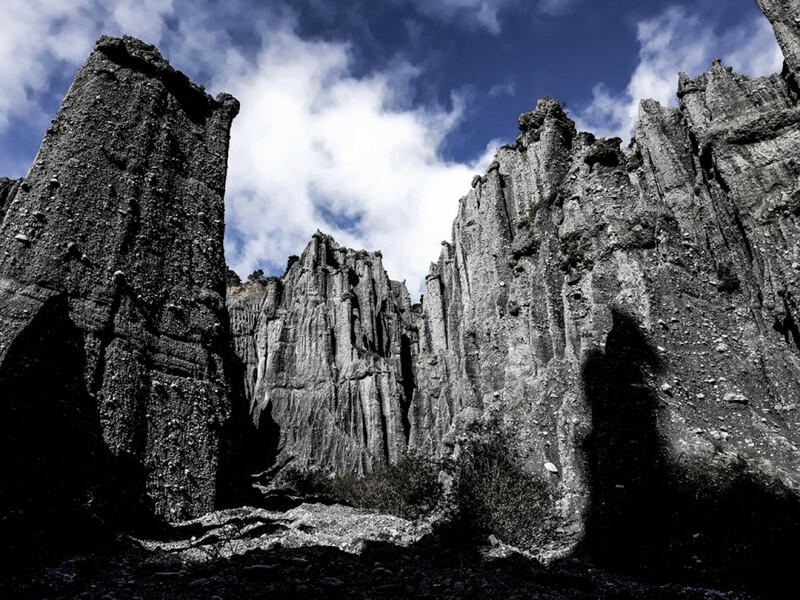 The Putangirua Pinnacles - which features as the Dimholt Road and the entrance to the Paths of the Dead. The gardens at Fernside Lodge where the Fellowship departs Lothlorien and Smeagol / Gollum kills his brother. 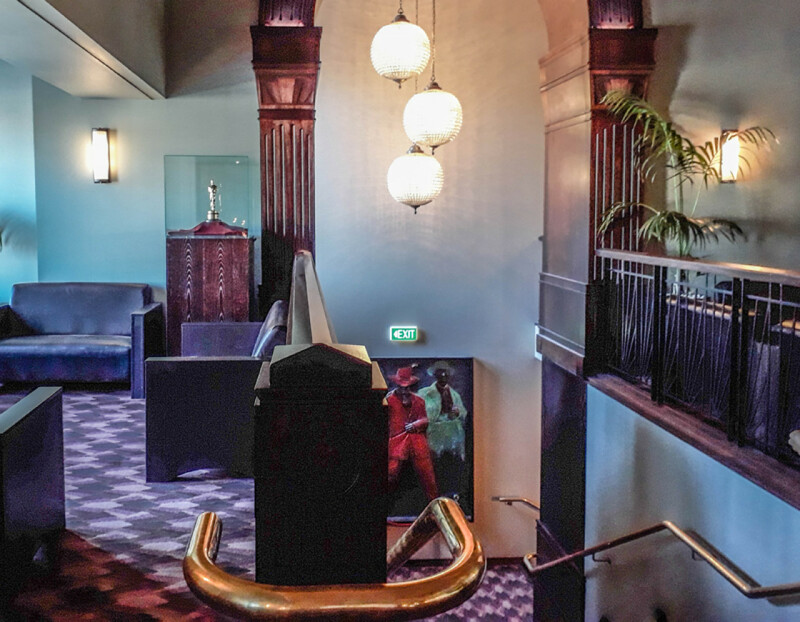 While the first two locations are accessible to the public, the Fernside Lodge can only be visited on a tour with Wellington-based Flat Earth Experiences. If you're looking for a guided location experience and want to share your love for all things Middle Earth with like-minded people, Rover Rings Tours is a great choice. You can choose between different tour options and are very well looked after by passionate guides. At the time of writing (March 2019), Wellington Airport is still inhabited by two prominent residents of Tolkien's world. During check-in, Smaug follows your every move. But once you've made it past security into the transit area, Gandalf watches over you.